At our optical dispensary you can have your eyeglass prescription filled and eyewear adjusted, as well as obtaining low vision aids. We use the best quality lenses available at affordable prices. 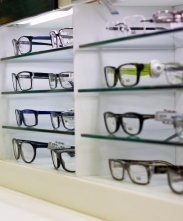 We have many frames to choose from or we can refill your existing frame with your new prescription.